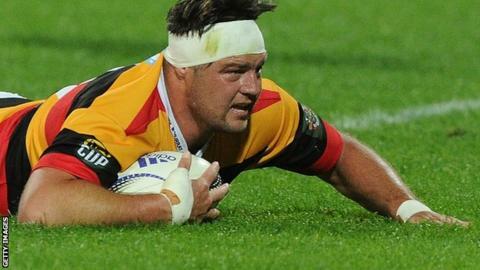 Gloucester have signed New Zealand-born front row Josh Hohneck from Super Rugby champions Highlanders for next season. The 30-year-old, who qualifies for England through his English mother, can play at tight-head or loose-head prop. "His ability to play both sides of the scrum is a huge advantage. He will also make a big impact with ball carrying and defence," director of rugby David Humphreys told the club website. Gloucester currently lie eighth in the Premiership, 11 points off fourth spot. Hohneck added: "It's a very big step for me, and one I'm really looking forward to. I've watched a lot of English rugby, spoken to a lot of people who have played there and I can't wait to get involved. "I've heard that the Gloucester fans love powerful forward play, and I'm hoping to deliver on that front. Having so many fellow Kiwis at the club will also help me settle in quickly."